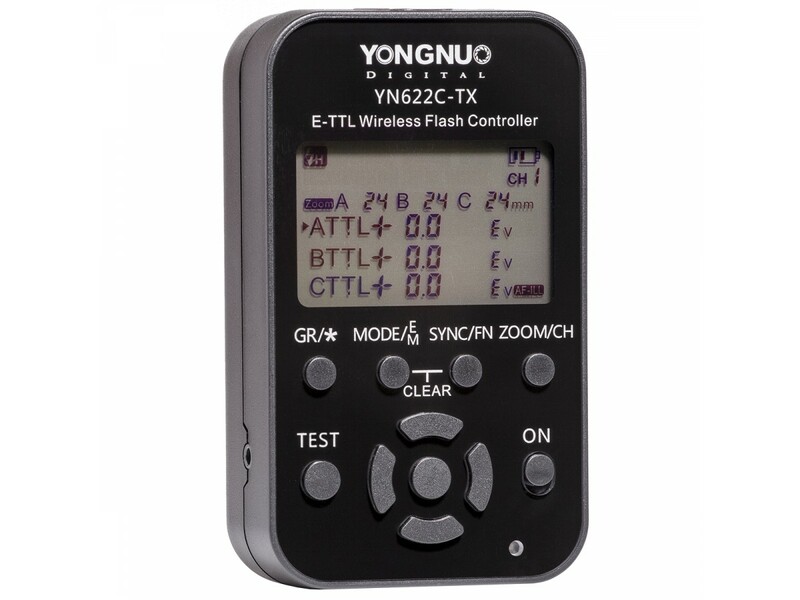 The wireless controller YN622C-TX for Canon will control remotely up to 3 groups of ETTL compatible flashes equipped with an external or built-in YN622 receiver. The YN622C-TX will allow you to adjust the power output and zoom position of each group of lights. The controller supports all additional functions such as 1st/1nd curtain synchronization, FEB, FEC, FEL and HSS. Incorporates an AF assist light that improves the camera's focusing ability in low light. 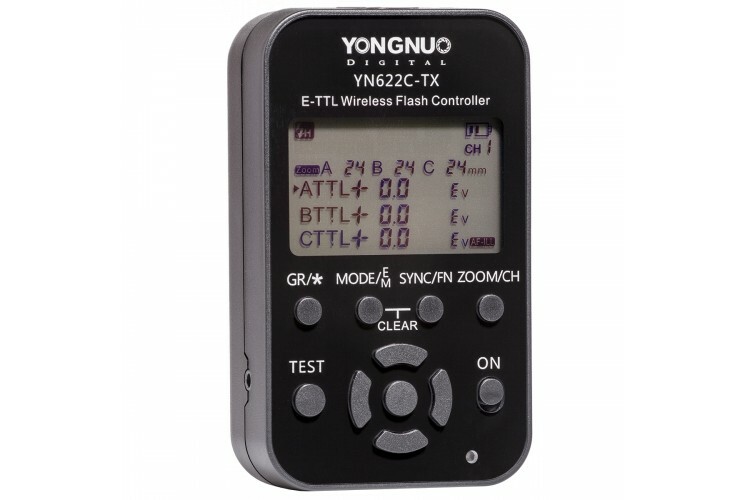 The YN622C-TX can also operate as a remote shutter release by being triggered from another YN622 module (the necessary cables are included).